Ford Certified, LOW MILES - 9,463! FUEL EFFICIENT 32 MPG Hwy/23 MPG City! CD Player, iPod/MP3 Input, Onboard Communications System, Brake Actuated Limited Slip Differential, Smart Device Integration, Satellite Radio, Alloy Wheels CLICK NOW! CHARCOAL BLACK, CLOTH BUCKETS W/60/40 SPLIT REAR SEAT 10-way power driver's seat w/power lumbar adjust and driver seat back map pocket, WHEELS: 17" ALLOY SPARKLE SILVER PAINTED ALLOY (STD). Ford SE with Ingot Silver exterior and Charcoal Black interior features a 4 Cylinder Engine with 178 HP at 5700 RPM*. Edmunds.com's review says "With its quick, precise steering and relatively sharp reflexes, the 2016 Ford Escape is one of the segment's top athletes. 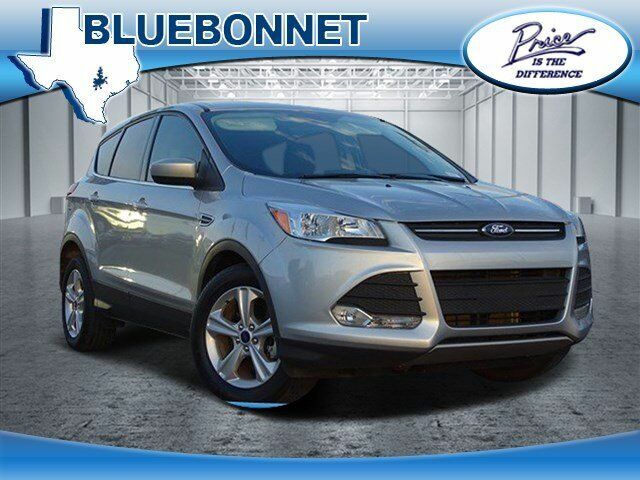 Some compact crossovers feel tall and bulky from the driver seat, but the Escape just feels like a sporty hatchback with a higher center of gravity.". Great Gas Mileage: 32 MPG Hwy.